From Ox-Yoke originals. 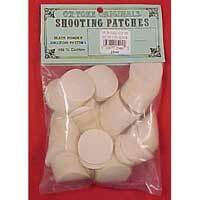 Pre-Cut Shooting Patches in Bulk - Similar to Thompson Center pre-cuts, .015" thick, packed 500 per bag. Economical and convenient, 100% cotton.